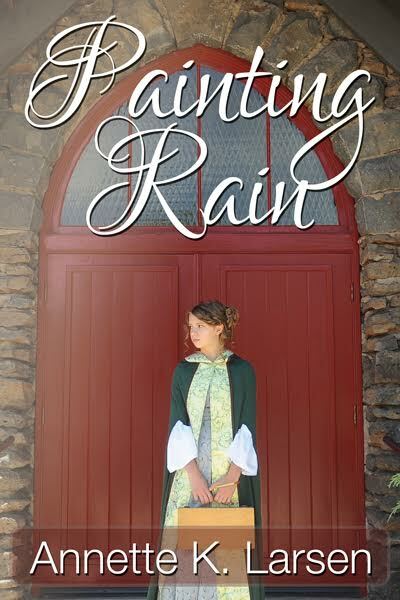 Today I'm delighted to feature Annette K. Larsen, author of Painting Rain, on my blog. It seems to have been raining for weeks, so the title seems kind of appropriate to the season. But what does rain mean to you? Is it just the sky crying? Painting Rain is number 4 in the Books of Dalthea (clean romance) series. If you want to start with book one, it's on sale below. And if you want to win a rafflecopter prize, you'll have to scroll to the giveaway at the end of this post. Ah, indeed. Chocolate rules! Especially when it's raining outside. And now, your chance to win and buy the whole series!